California is known for many contributions to the world, including cheese. Since 1865 the 700-acre Hicks Valley Ranch has provided fresh cow and goat milk cheese. 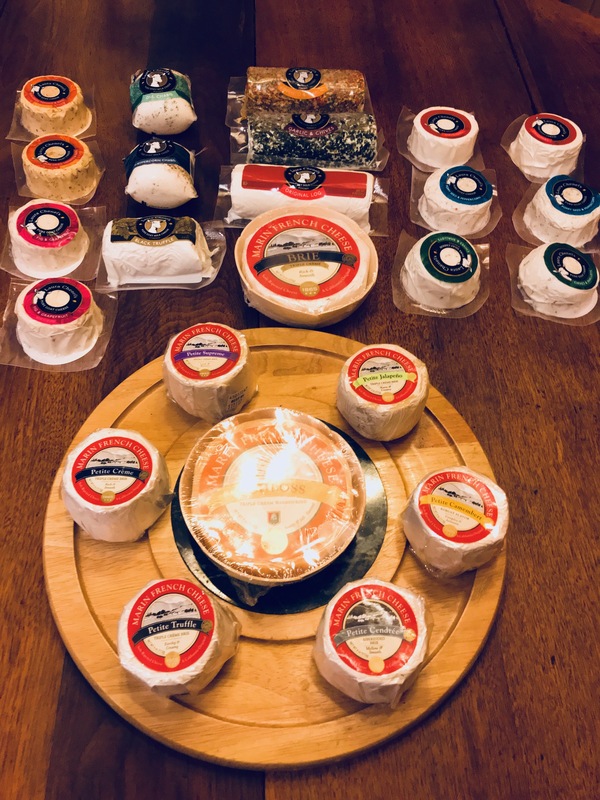 Located in Sonoma, this cheese company was fortunately untouched by the nearby California fires. In 2011, Marin French Cheese was purchased by Rians, the respected French family of cheese producers. Rians also owns Laura Chenel’s Chèvre in neighboring Sonoma County. 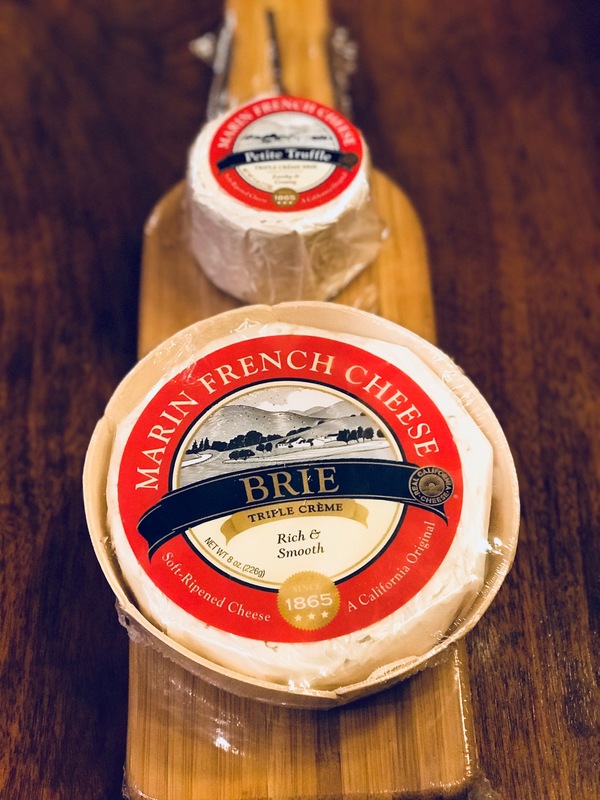 What makes Marin French Cheese extra special is a blend of milk from three dairy breeds: Jersey, Guernsey and Holstein. These cows live less than 15 miles from the Marin French Cheese company in Marin and Sonoma. This unique milk combination provides extra creaminess and a balance of protein, fat and flavor. The company has the distinction of being the longest continually operating cheese company in America. The Petite Breakfast is an everyday cheese that enhances a bagel and elevates a green salad with a crumble on top. The cheese melts easily in omelets, grilled cheese and soup. Sip a glass of crisp California Sauvignon Blanc, a pint of wheat beer or hard cider with this cheese. Camembert offers a distinctive flavor of Brie due to the cultures used to produce earthy flavors. The deep golden color in the middle is surrounded by a thin white rind. Camembert pairs nicely with a glass of white wine or pint of beer. This cheese has a 75-day shelf life. The Petite Jalapeno is a triple cream fresh cows milk made into soft-ripened and creamy Brie. The milk is from nearby dairies in Marin County. It offers hints of spicy red and green jalapeno peppers that are bold and full of flavor. The cheese is smooth in texture. It pairs nicely with beer and white wine. This cheese also has a 75-day shelf life. The Petite Cendree is hand-coated with a thin, elegant layer of vegetable ash rind. It’s a triple-cream Brie that is creamy and has an earthy taste. This cheese goes well with a red Pinot Noir or a California Cabernet wine. Marin French Cheese make four different Brie cheeses. The traditional Brie is buttery, rich in texture and golden in color. The Triple Creme Brie is slightly sweet, creamy and elegant, with a velvety rind that has a delicate finish. The award-winning Supreme Brie is aged 9-14 days to produce a snow white rind. The lush milky aroma and lemony sour flavor add layers to this flavor profile. The Triple Creme Brie with Truffles is rich and smooth, speckled with Black Truffle to create an earthy, mushroom balanced creamy goodness. 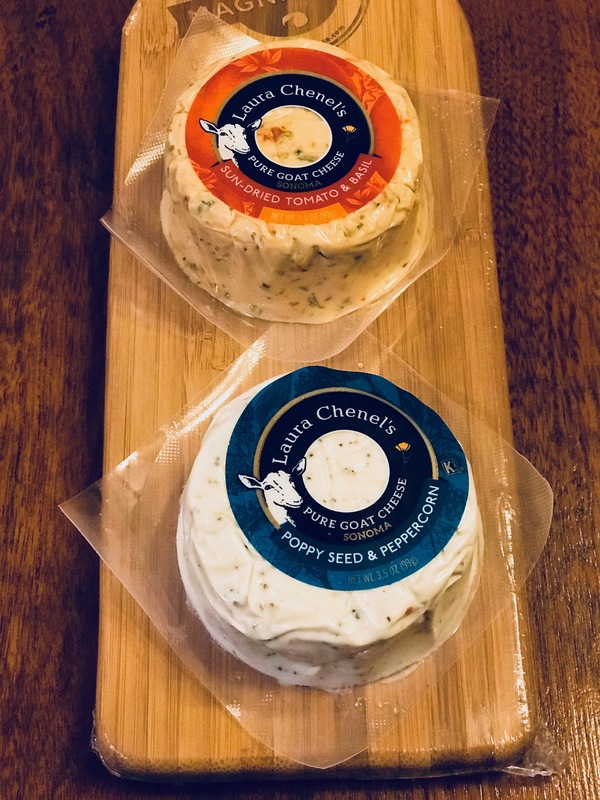 The Laura Chenel’s Pure Goat Cheese is a premier American Chèvre collection since 1970. The cheese is packaged in small, disk-shaped medallions. These are ideal on a cheese board with some grapes, honeycomb and fruit spread. Cut pieces of French bread for an ideal appetizer. There are five different goat cheese flavors, starting with an Original that is rich tasting with a bright citrus-y tang. Next is a Poppy Seed & Peppercorn that brings a nutty flavor and a hot, yet sweet profile. The Fig & Grapefruit is sweet with a bright tang from the grapefruit and goat cheese. There is a Sun-Dried Tomato & Basil with subtle basil and green pepper notes. Last is a Chives & Shallots, which has a herbaceous profile. 8. Laura Chennel’s Pure Goat Milk Cheese also comes in logs made in the traditional French elongated shape. The flavors are enhanced by a balanced amount of salt. This log cheese became famous in a mixed green salad at Chez Panisse in Berkeley, CA. Make a goat cheese salad with a sprinkle of crumbled cheese on top of your favorite salad or slice the log into rounds, coat with breadcrumbs and bake until golden brown. Chèvre is good in sauces for pasta and poultry dishes. It mixes well with herbs for a crostini or a filling for ravioli or tortellini. The Garlic & Chives Log melts nicely for an elevated quesadilla or stuffed chicken breast. Mix it with equal parts of sour cream or yogurt for a delicious dip with crudites. 9. Chabis is a creamy and fluffy goat cheese. Laura Chenel makes five different varieties: Original, Herbs, 4-Peppercorn, Dill and Chabis Garlic. This type of cheese retains moisture longer than the log varieties. Serve this cheese with a dry rose’ or Rhone Valley red. 10. 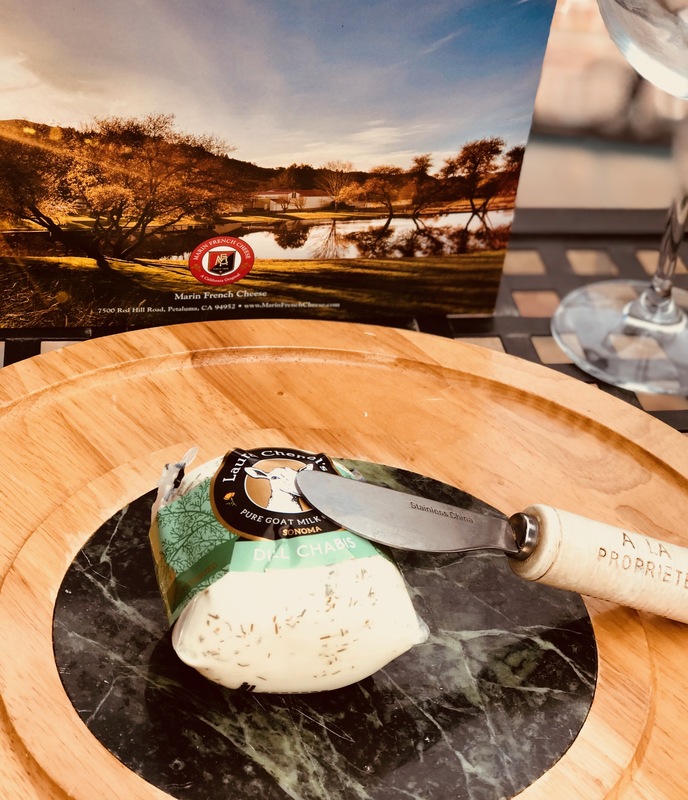 Visitors are welcome to the Hicks Valley Ranch, known to locals as ‘The Cheese Factory.’ The retail shop has handmade cheese tastings and everything you need for a picnic. They sell warm soup, sandwiches, wine, local cider and soft drinks. Store hours are 8:30 a.m. – 5 p.m. daily.